Praised by Opera News as a “gleaming, pitch perfect soprano” and the Wall Street Journal as “piercingly lovely” for her portrayal of the title role in Thais, soprano Leela Subramaniam is turning heads with her rapid ascent to opera stardom. After winning the prestigious Opera Foundation Björn Eklund Scholarship, Ms. Subramaniam was invited to join the Bayerische Staatsoper Opera Studio for the 2015- 2016 season, where she appeared as Miss Wordsworth in Albert Herring, Barbarina in Le Nozze di Figaro, Papagena in Die Zauberflöte, Dew Fairy in Hänsel und Gretel, Countess Ceprano in Rigoletto, die Fünfzehrjahrige in Lulu, die Hoher Schatten in the Opernfestpiele world premiere of Hauke Bernheide’s Mauerschau. In addition, she went on tour performing in many concerts around southern Germany, performing excerpts as Giunia in Mozart’s Lucio Silla, Ilia in Idomeneo, and Violetta in La Traviata. 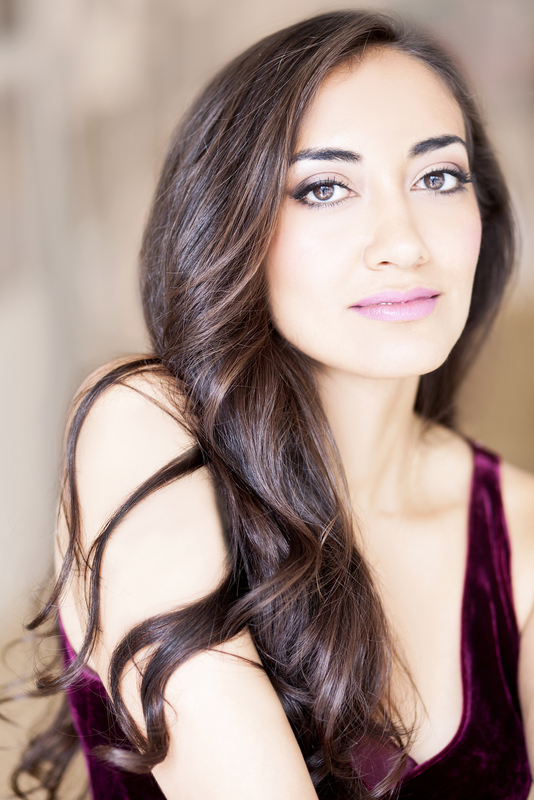 Last season she made her debut with the Gartnerplatz Theater in Munich performing in Purcell’s King Arthur and her LA Opera debut as Annu in Kamala Sankaram’s Thumbprint. For the 2017⁄18 season, she joins the Metropolitan Opera to cover Papagena in Die Zauberflöte, Flower Maiden I/group II in Parsifal, and Kate Pinkerton in Madame Butterfly. She also makes her role debut as Donna Anna with Heartbeat Opera in NYC. Ms. Subramaniam made her Carnegie Hall debut performing Niece 1 in Peter Grimes with the St. Louis Symphony. She attended the Chautauqua Institution Voice Program, where she was seen as Sister Constance in Dialogues des Carmélites, and was a Gerdine Young Artist for two years at the Opera Theatre of St. Louis where her assignments included Giannetta in L’Elisir d’Amore, Pamina in Die Zauberflöte, and Sadie in Terrence Blanchard’s Champion. Previous credits include the title role in Thaïs and Lucia in Lucia di Lammermoor at the Manhattan School of Music, and Nero in Handel’s Agrippina at UCLA, where she earned her Bachelor of Arts degree. Ms. Subramaniam graduated from the Manhattan School of Music with a Master of Music degree and Professional Studies certificate.